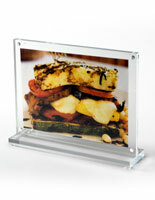 This Picture Frame Displays Two 5" x 7" Photos, Menus, or Media Material! 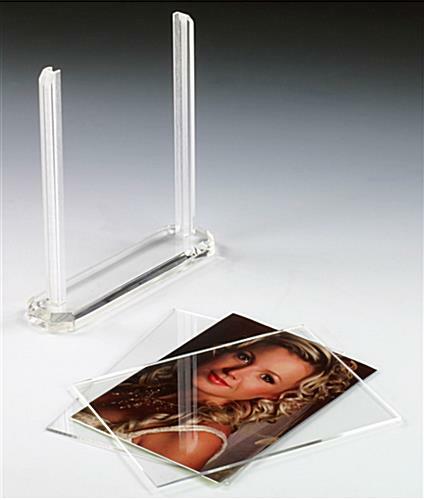 This Picture Frame is made of Durable Clear Plastic and is Designed for Any Flat Surface. 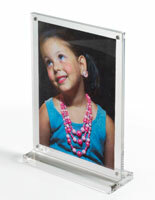 Cheap Photo Frames are Stocked by the Thousands in our Quick Ship Warehouse! 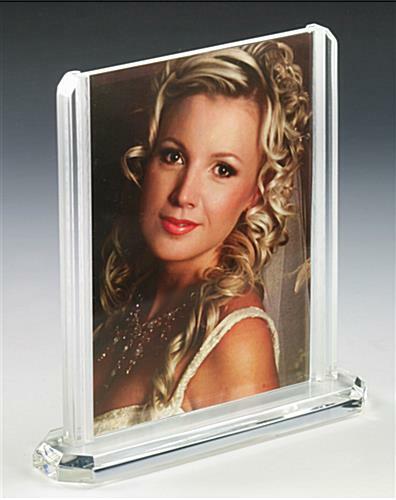 This upscale acrylic holder is a stylish picture frame ideal for commercial and home use. 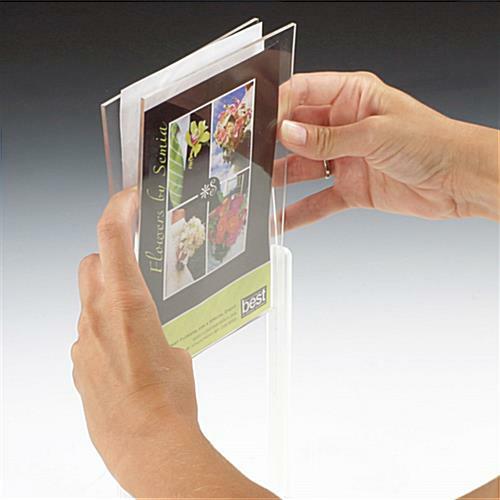 This functional photo holder, picture frame is 1/2" thick and leans on a longstanding, modern looking 1/2" thick stand with rubber feet to stop surface damage. 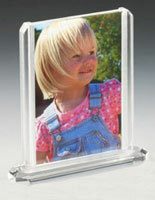 Merely slide both acrylic panels of the photo frame up to install and remove pictures or signs for fast and easy picture changes. 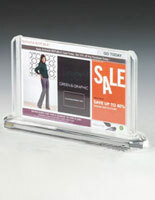 This picture frame offers a useful method to promote specials or display your favored home photos. 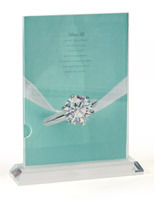 This picture frame incorporates sleek, polished edges producing an all around contemporary appearance. 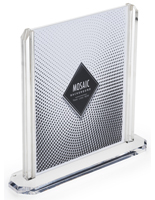 The picture frame, also known as a sign holder or acrylic display, accommodates two 5" x 7" images for easy back to back viewing.